It’s Christmas morning, but I wanted to take a moment to wish my readers a very merry Christmas! However you spend the holidays, I hope that it is a good one! I am taking a few days off from work, and social media, to spend time with my family. We’ve not had a big family Christmas for several years, so I’m really looking forward to that. Just a couple more posts before the end of the 2016, including my Review of the Year 2016. I thought I would also join in with The Christmas Tag that I’ve seen loads of other bloggers doing recently. It’s 20 Christmas related questions that I have to answer – so you can find out more about what my Christmas is like! I have several – but right up there is National Lampoon’s Christmas Vacation, which I think is hilarious! You can find out what my 10 must watch Christmas movies are here. I am pretty sure we had one in the early 1980s, but I can’t remember any. We had snow leading up to Christmas one year recently, but by Christmas Day it had all melted. I remember feeling really sad about that! With family – either at our house, or at my parents. That said, we went to Disneyland Paris in 2015 for Christmas Day which was a magical experience! No turkey cooking for me again this year! I’m very decisive on this one! It’s I Wish It Could Be Christmas Everyday by Wizzard. It really reminds me of my childhood! Growing up in a pub/restaurant, meant Christmas songs were on loop for weeks, and this song was always my favourite. Mariah Carey’s All I Want For Christmas Is You, is a very close second mind you! I created the Ultimate Christmas Songs Playlist for Spotify here. Yes! This has been a family tradition since I was a little girl! We were allowed to open up just one present on Christmas Eve, once we were in our pyjamas and all ready for bed. I continued that with my son, and still do it to this day, even though he’s a young adult! 6. What is your favourite Christmas advert? There is only the one for me – Coca-Cola! ♪ ♫ Holidays Are Coming ♪ ♫ It’s not Christmas for me until I see that advert on the telly! 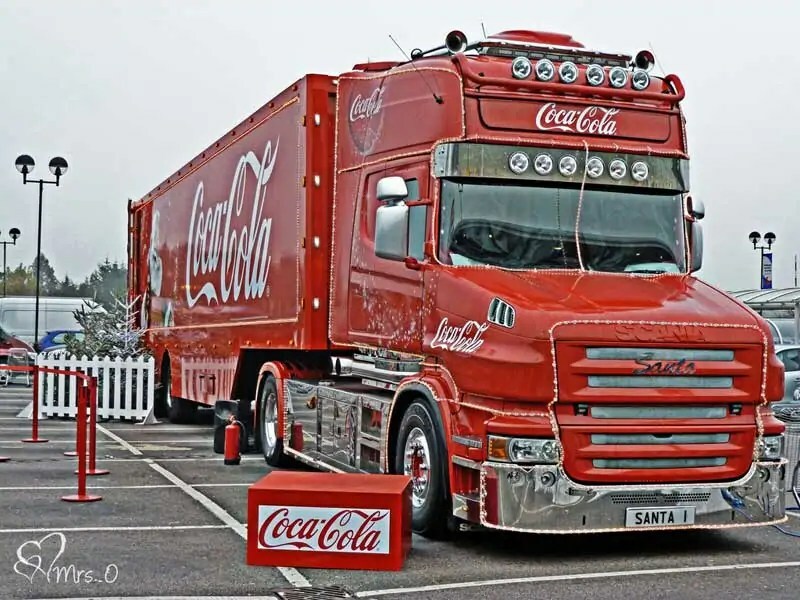 We saw the Coca-Cola truck several years ago at our local supermarket which was very cool. We’ve not had a big family Christmas for several years, so I’m looking forward to spending it with my parents, siblings, and their families. We always play poker on Christmas night, as well as a few board games. We also break out the cheese board for late night snacks! We actually usually have both. We buy a small 3ft real tree for the porch, and our 7ft fake tree for the living room. 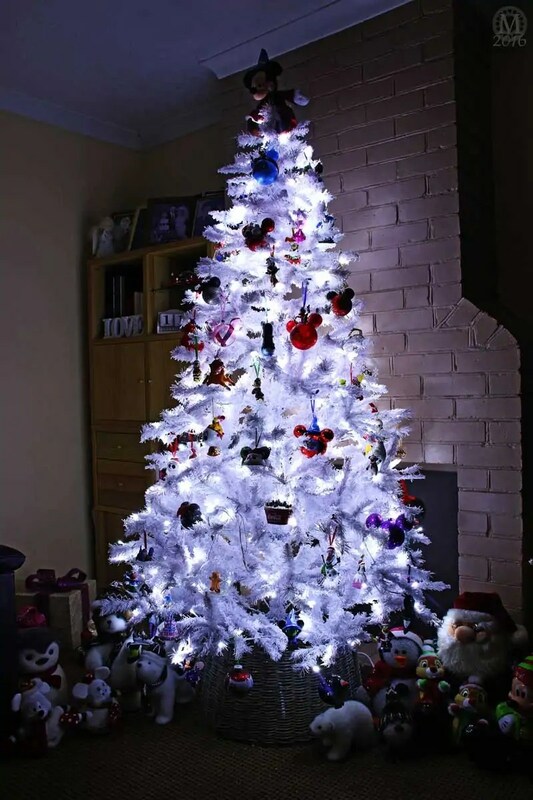 We’ve had a white Christmas tree for several years now and I just love it! I think it shows off the decorations a lot more, and it really helps to brighten up the room as well with all the bright white lights on it. This year it is Sorcerer Mickey! In the past we’ve had angels, stars, and a paper mâché Santa Claus that I made when my son was a little boy! 10. What is your all-time favourite Christmas food/sweet treat? The cheese board is definitely a favourite! And I must have a Terry’s Chocolate Orange at Christmas!! 11. What is your favourite festive drink? Has to be Bailey’s – I don’t drink that at any other time of year! I love giving them! Finding the right presents for everyone I love is such an enjoyable thing. But come on, who doesn’t love receiving presents?! 13. What is the best Christmas gift you’ve ever received? Oh gosh… that’s a really hard question to answer! I honestly don’t know! 14. As a kid what was the one (crazy, wild, extravagant) gift you always asked for but never received? Nothing really – we always seemed to get the things we had wished for, for Christmas! I don’t remember asking for anything crazy, wild or extravagant! 15. What would be your dream place to visit for the Christmas season? Walt Disney World! I know the theme parks would be heaving, but I would love to just be at the resorts for the holidays! 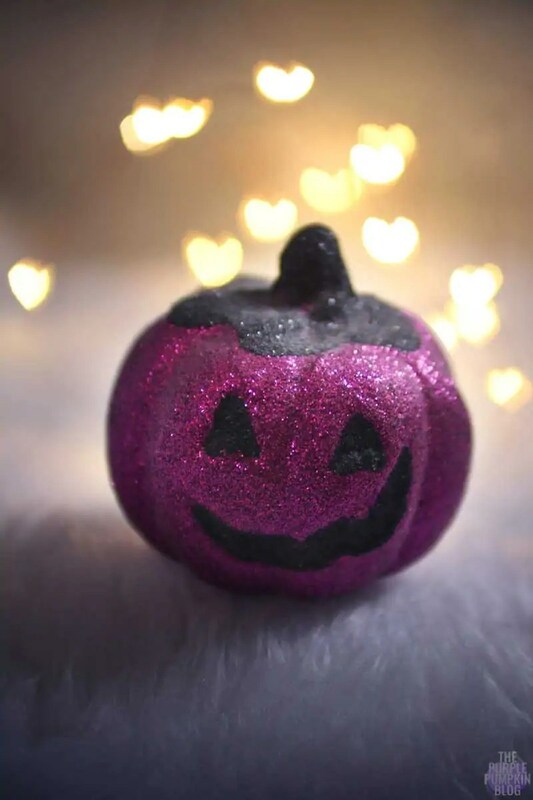 The closest we’ve come is when we visited in October/November 2015, and some of the Christmas decorations had started to go up – but I know that they put up a lot more as it gets closer to December! I wouldn’t say I was a pro at wrapping presents, but I do like to add lots of ribbons and bows to my presents when wrapping them! 17. Your Most memorable Christmas? I guess the huge Christmases we would have as kids, with all of the extended family. Living in a pub, meant that after it was closed, we’d all (20+ of us) go down into the restaurant, have Christmas dinner, then hang out in the bar, playing pool, or board games, or on the video games machines! 18. Do you have any Christmas Eve traditions? Opening a present each, as I mentioned. We just put our feet up, open the Bailey’s, watch a Christmas movie, and just chill out. If I’m cooking dinner for Christmas Day, I would also be prepping the veggies and stuff so I don’t have to stress the next morning! 19. What made you realise the truth about Santa? 20. Do you make New Years resolutions? Do you stick to them? I always do. They’re always the same. I never stick to them. I’m not making any this new year.